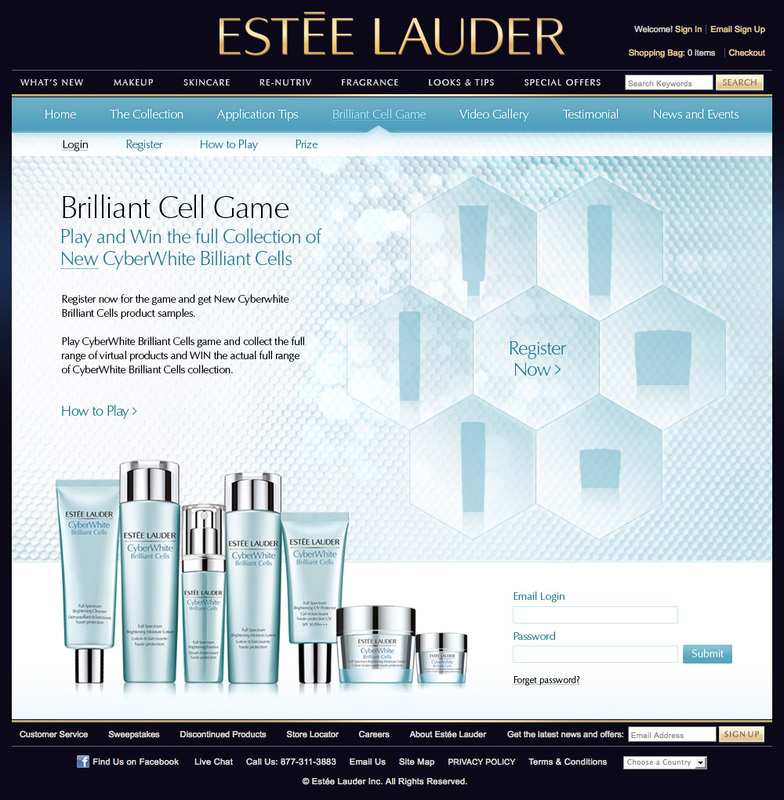 Estée Lauder CyberWhite 2011 Microsite Game for APAC. This project took over 4 months working first directly with Estée Lauder APAC headquarter in Hong Kong to develop basic game flow and later directly with 8 Estée Lauder regions (Hong Kong, Korea, China, Malaysia, Singapore, Japan, Vietnam and New Zealand) to help launch localised version of the social collection game. Role includes: Project management, Ideas development, storyboard design and flash development.